he forty-year experience and high professionalism of our Master Furriers will be reborn in style and class to your old fur, while maintaining a fashionable product built to last. F.lli Moro will accompany you in choosing the best model to be implemented in line with your wishes and with the utmost care in all details. F.lli Moro offer you repair and cleaning service of your clothes, a real beauty treatment for your furry, give softness and shine through the use of specialized techniques. F.lli Moro offer storage service of your most precious items in armored rooms and refrigerated temperature and humidity control to maintain the natural qualities of softness and luster of your fur. You don't love more your old fur? Don't be worth put it back in model? F.lli Moro after careful evaluation by experts will give you the opportunity to change it with a new boss. 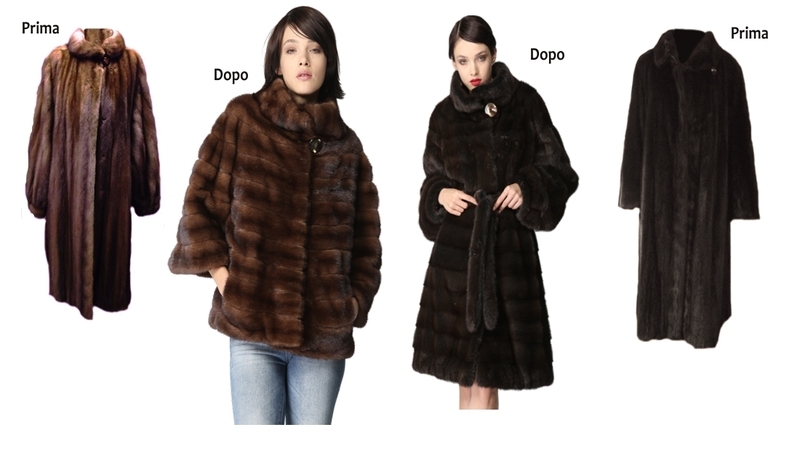 F.lli Moro are at your disposal with professionalism and experience of experts to carry out free estimates your furs.